Hormone Therapy Video Library – A Deeper Look Into PSLEI. 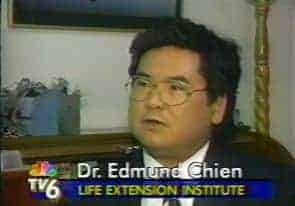 Dr. Chein’s revolutionary practice of hormone therapy has changed the lives of many people worldwide. Dr. Chein has received International acclaim and clientele from countries such as England, Japan, Germany, and Italy for his hormone therapy and the Palm Springs Life Extension Institute. Tokyo Broadcasting Co (Japan), CBS news with Dan Rather, & BBC TV (UK).